Some of you may remember back before Christmas I ran a competition on my Facebook page, everyone who liked/shared my page throughout the month were entered and I picked a winner at random to win a Pet Portrait. 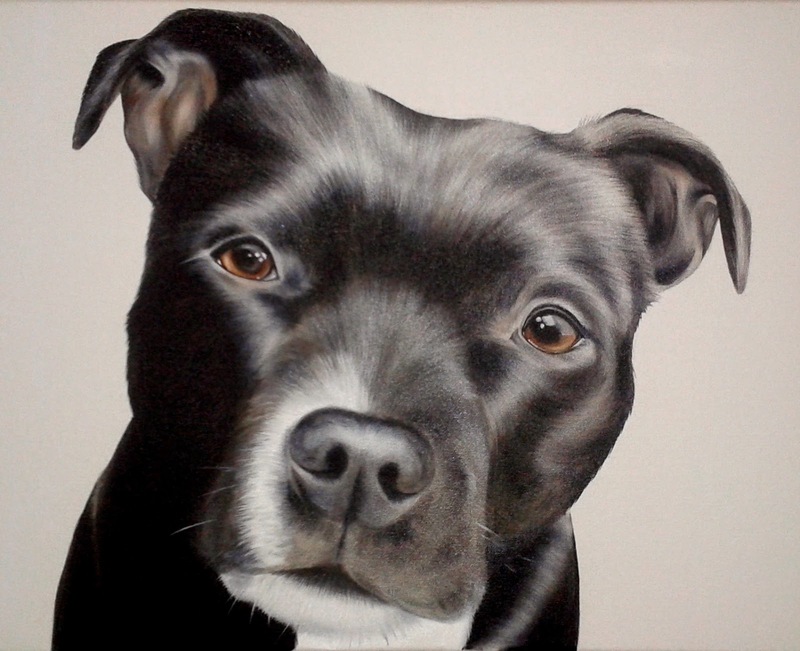 Robyn Woods was the lucky winner and she won an A3 Oil on Canvas Portrait of her gorgeous Staffie Effy. This was the first time I've painted a Staffie, I always love painting new breeds and taking on a new challenge. 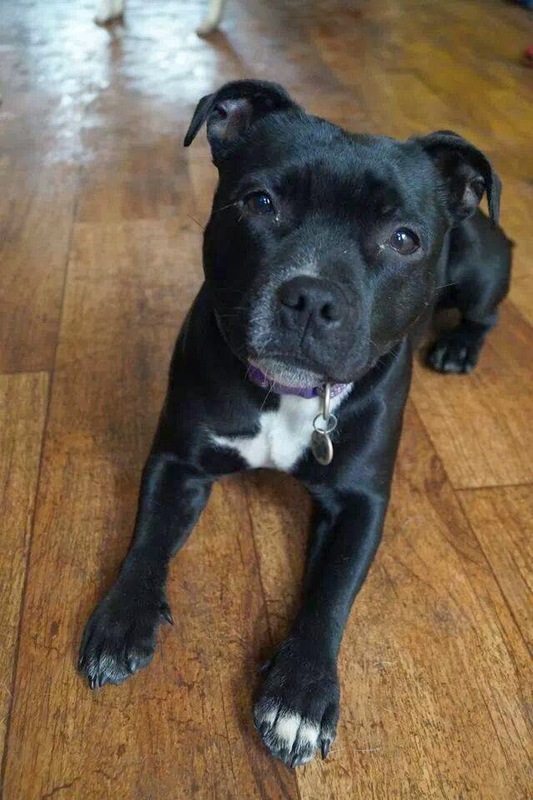 Not long after this I spoke to the lovely people at Staffie & Stray Rescue in Dorset, they are currently working on the 'Save a Staffie' campaign and I wanted to help. They are promoting my pet portraits through their website and anyone who orders one from this just need to quote 'Staffie' in the order form and I will be donating 25% of the commission to the charity.